A recirculation system is the more advanced plumbing technique. The system is designed to instantly provide the hot water in taps. A best hot water recirculation pump saves the gallons of water from go down the drain. It provides increased comfort and convenience to get the water easily. There are two systems in the recirculation process. They are electrically operated the pump and gravity fed operating, thermal syphoning method. It’s operating on a pump by an attached switch to save the water most in the least amount of energy from the losses in heat. It controls the circulation of a pump by the temperature sensor to prevent the water from drain outline even in the least cost. The sensor in the system to helps the pump while the hot water reaches the tap to shuts off the pump. On thermal syphoning, gravity fed gets work while the hot water reaches the top of the system in the pump and dense the cold water to falls on the bottomthrough the hot water valve. The heat loss and energy consumption of a pump saves by Pipe insulation and short plumbing. Consider the following things before buying the new hot water recirculation system. A recirculating pump made up of three components like motor, bearings and pumped impeller to move the water around the piping systems. Before choosing the recirculating water pump considers the product to be made up of bronze metal it saves from the corrosive attacks. Avoid pumps from the damage by working in the moderate temperature to reach the hot water into the pump. It’s overheating may shorten its lifespan. Choose the models of pumps used in silent motors and avoid the excessively vibrating system. Check the temperature settings of the hot water to flows out. Ensure the hot water temperature and flows out of fixtures. Choose a push button either sensor system to control the temperatures. Bypass Valves and water lines are needed to avoid the cold water to pass through the hot water line. This type of fixtures is not usable; use the inferior check valves and thermostatic valves to avoid the fluctuations in temperature while occurring in the usage of cold water. Until the temperature remains in the degree of 95, the valves will open, and this will affect the life span of the heater. How to clean the recirculation pump? Some inferior recirculation systems to be maintained properly and should clean regularly. The cleaning and maintenance process may consume time and burden to do. Check the new variety of recirculation model to avoid the burdens. 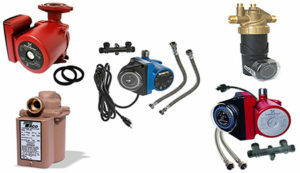 With the help of experienced plumbers and fitters for the reputed and reliable can be useful to clean the pump. Save early thousands of gallons of water. The water recirculation pump will save the household needs from wasting water to saving water. The best recirculation pump benefits to save the money from much cost electricity bill and saves the valve line in the house from the causes due to heat.